A surprisingly large crowd turned out for a recent meeting with city government officials. City officials came to give Southside residents an update on plans to improve neighborhoods in the area. They got an earful during a lively meeting billed as Tallahassee in Progress at Walker/Ford Center. 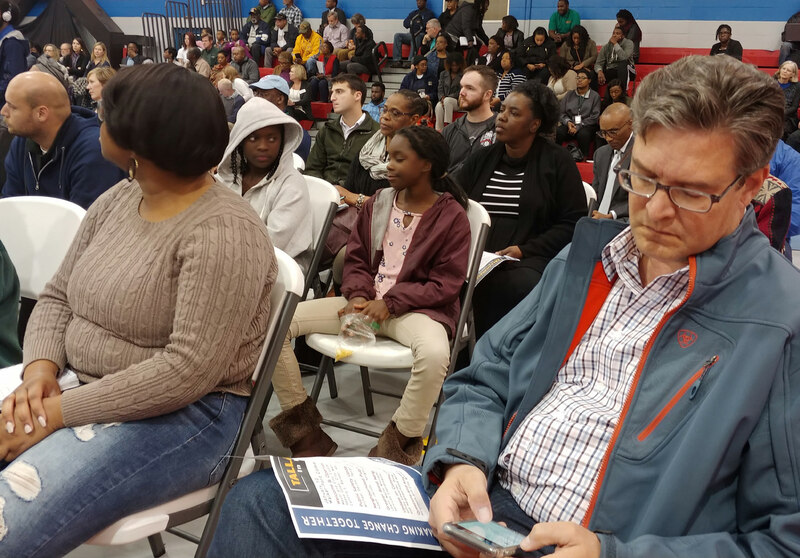 An estimated 200 people turned out for what officials said is the first of many more similar meetings aimed at getting the involvement of area residents. Members of the entire City Commission showed up along with staff and other leaders in government, promising to develop a relationship to ultimately solve problems that plague the neighborhoods. 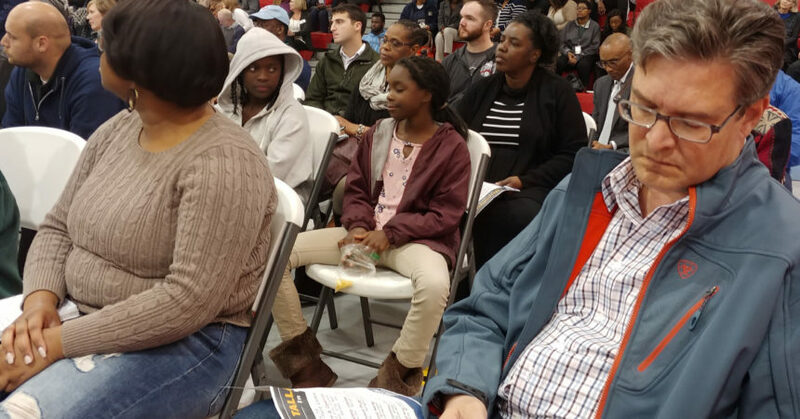 One resounding theme heard from officials was that improving Southside neighborhoods will take the involvement of residents. They addressed flooding, infrastructure for growth, while discussing changes, some that could occur in the next five years or sooner. However, the tone of questions from the audience implied that residents have waited long enough to get the government’s attention to their concerns. Most of the speakers who had specific concerns were referred to city personnel for assistance in getting to the root of their problem. Elaine Bryant, who was recently appointed to the Commission, echoed the sentiment of her peers. “If everyone comes together, put our heads together we can actually come away with the desired results,” Bryant said. 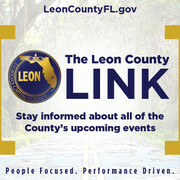 Each of the individuals who made a presentation on behalf of the government urged residents to follow the lead of the Greater Bond Neighborhood Association. The association recently received funding approval for the revitalization of the Bond Neighborhood, a block from where the meeting took place. The four-pronged plan emphasizes beautification, public safety, land use and economic development. The entire project would cost just over $6 million, $500,000 of which was approved by the Community Redevelopment Agency last month. Assistant city manager Cynthia Barber was one of the liaisons between the Bond association and the city. What the association presented to the CRA is “an outstanding effort of engagement unlike any that I’ve actually seen,” Barber said. Not everyone who attended the meeting was convinced that change will come because the government came to them. Commissioner Jeremy Matlow, who told his story of growing up in poverty on the Southside during his recent campaign, said he could appreciate why some are leery of government. Some of the results of resident engagement with their city government were obvious, especially in the area of crime reduction. Tallahassee Police Department Chief Michael DeLeo said residents’ involvement has led to a second consecutive year of reduction in the city’s crime rate. He showed a map that outlined areas on the Southside where there has been drastic reduction of crime activities, primary in Bond. That wouldn’t have happened if residents weren’t involved, he said. He encouraged residents to get involved in TPD’s Neighborhood Public Safety Initiative. DeLeo also gave details on plans to move TPD headquarters to a location near Orange Avenue and South Monroe Street. He said the facility will be large enough to host community meetings such as the one where he spoke, as well as put officers in a position to have more community engagement. Residents of the Jake Gaither Neighborhood seemingly are getting assistance with the overgrowth shrubs in an area near Springsax Park. Ashley Edwards, director of parks, recreation and neighborhood affairs, assured residents that the troublesome issue of overgrowth is being addressed. Abandoned or dilapidated homes also have long been a concern of Southside residents, an issue that Commissioner Curtis Richardson said is being addressed. He suggested the city might impose eminent domain ordinance if necessary as a fix.